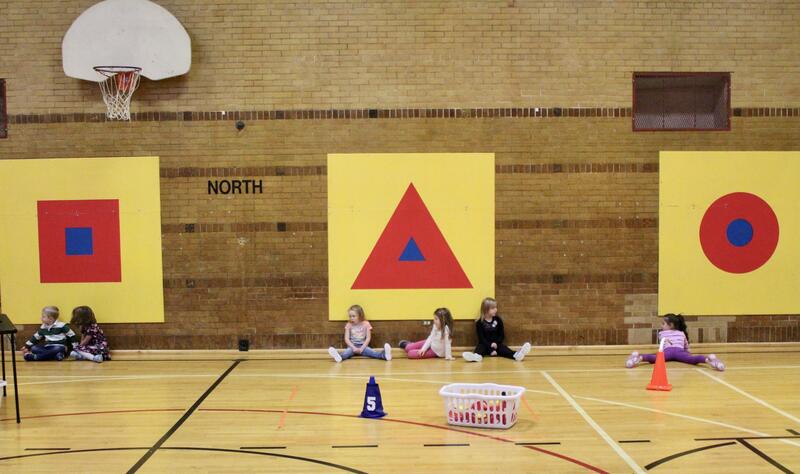 Students spin, balance, jump and walk at different stations in the gym at Central Grade School in Traverse City. Each movement is designed to help train the brain to read better. Each exercise students do in movement lab helps train their brain to read better. A growing body of research says more physically active kids do better in school. But, across the country, time for gym class and recess has been replaced with more sedentary time in classrooms. 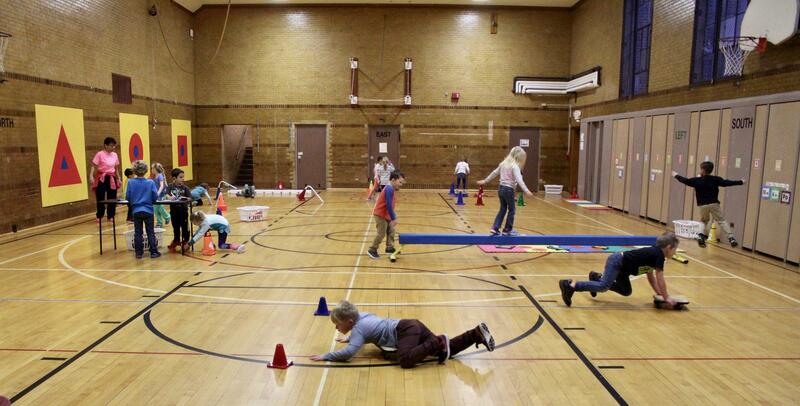 Traverse City Central Grade School is doing the opposite though, giving kids more exercise to help boost their reading scores. 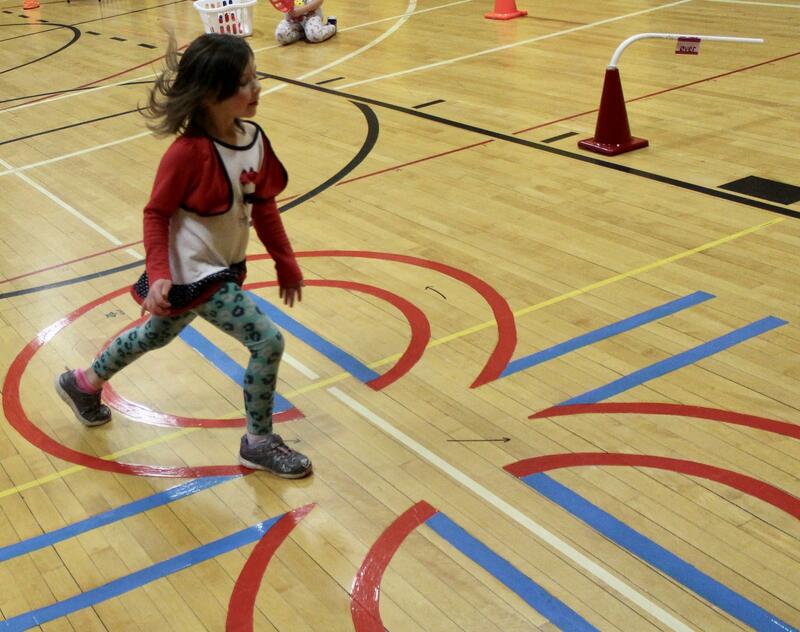 Danielle Daney gallops around a figure eight on the gym floor during movement lab. "Exercise makes brain cells, and we know that healthy, active children make better learners," Radecki says, explaining the basic thinking behind the program. Freya Blakeslee is walking on stilts. She's working on her balance. "It seems a little hard," says Freya. She's never walked on stilts before today. "So the balancing piece would be placing words on a page, reading words from left to right, writing patterns in a sequence," Radecki says. Kindergarteners wait for their teacher to come collect them at the end of movement lab. Afterwards, they head straight to the classroom where they begin their reading lesson. "After activity, that’s when you’re ready to learn," Radecki says. She says its not the time to sit and have a snack. When they arrive in their classroom, they start their reading lesson. In unison, they sound out the components of words like 'wish' and 'lap.' The kids look attentive and focused, and their eyes are on the teacher. Two years from now, Michigan’s third grade reading law will go into effect, and third graders who can’t read well enough – based on the state's M-STEP test – might be held back. "So, I would like to see this program happen so that none of the children that are going to fourth grade have to stay in third grade," says Radecki. "That’s my ultimate goal." "You might be able to sit and drill skills just by having them sit and just pounding it in and throwing worksheets at them, but that’s not what we find is good practice," Tisdale says. "We’re just trying to build some confidence so that they can learn," she says, "not make it so stressful." Kindergarten teacher Andrea Burkholder looks on as a student practices writing a lowercase f.
"Confidence, less behavioral referrals … building endurance, building stamina," says Radecki, listing off the benefits. "Building social skills with peers. They’re becoming independent." "The next step is to look at how can this be sustainable beyond a grant," he says. Get to work, grab a cup of coffee, turn on the computer … and sit down to start the business of the day. And there you stay: sitting and sitting and sitting. Sound familiar? 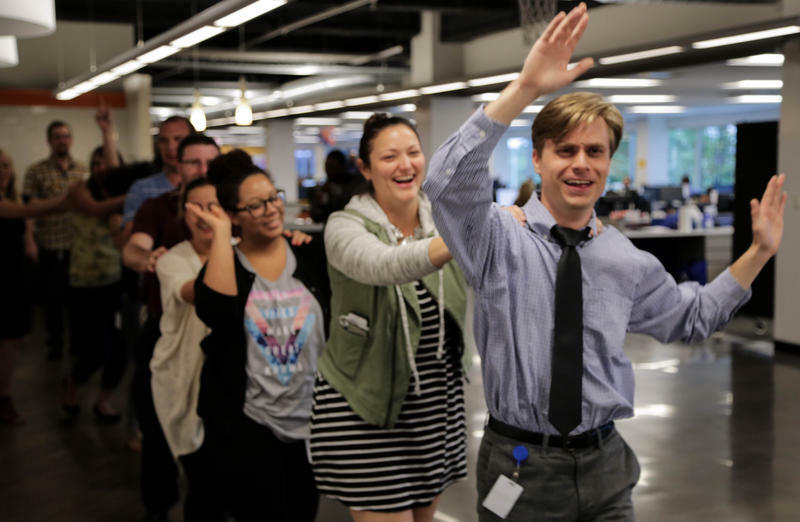 For those of us with desk jobs, that’s pretty much the drill.